There are so many ways you can use a french press for really, really good coffee, and really, really good tea! But not just coffee and tea - see more recipe ideas below. I was sent two different styles of french presses to try out recently and I have so many drinks I want to make with these two beauties, but my oh my do the weekend hours disappear way too quickly. 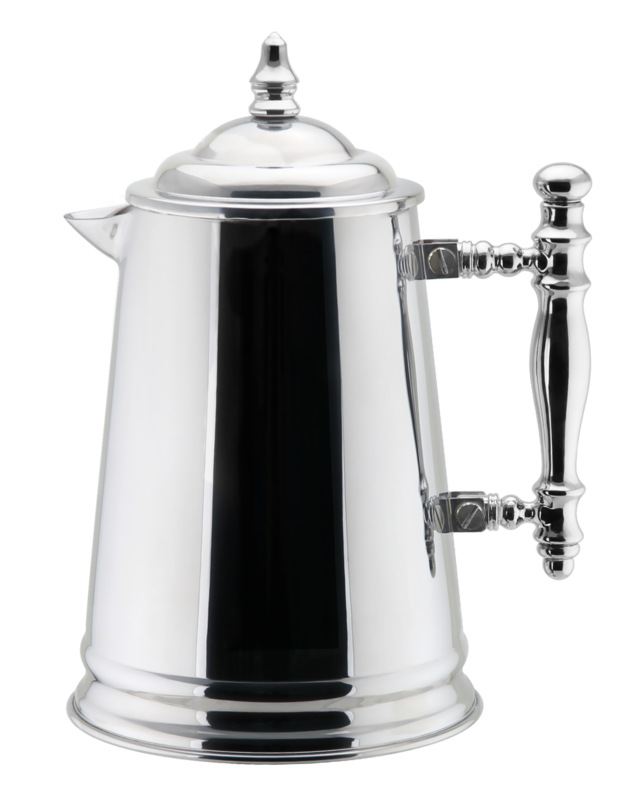 I just love the way the Francois et Mimi french press looks - it's so pretty, and perfect for serving up your coffee or tea next to some scones or muffins on a lazy weekend morning. This is definitely pretty enough to pull out for guests at a get together, and generously holds 34-oz of liquid to easily serve 4 people at a time (or 2 thirsty coffee drinkers!). The Kitchen Supreme bundle is awesome - this would be a terrific gift idea for the coffee or tea lover in your life. 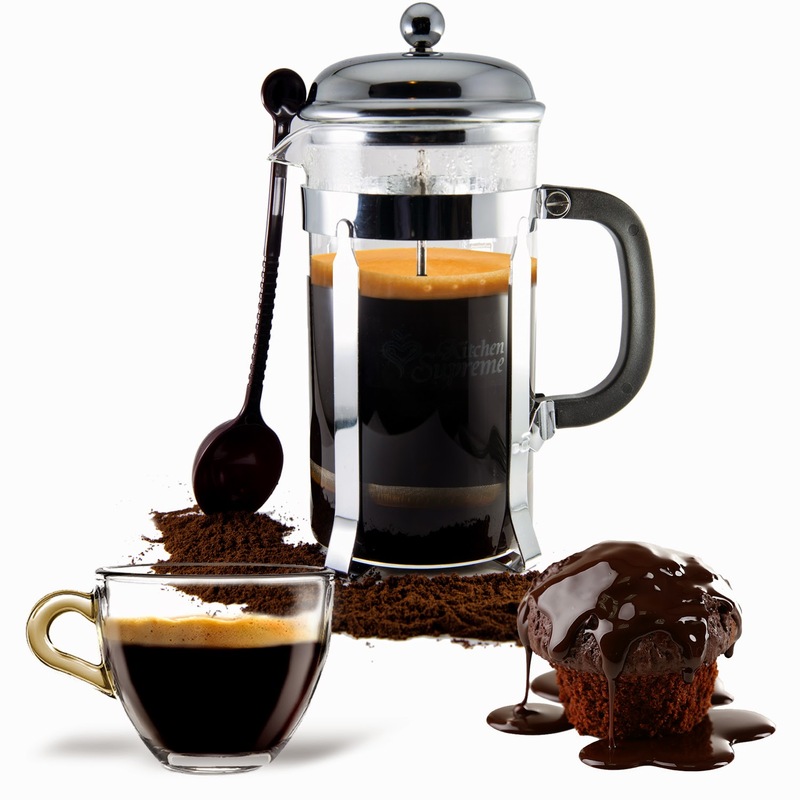 The french press holds 1 liter of liquid and it includes both a coffee scoop and a spoon for stirring. PREMIUM QUALITY, NOTHING LESS: DOUBLE BOROSILICATE GLASS - The strong carafe is constructed from a heat resistant and durable glass to be present at all the special moments with those you love; What's so special about this Borosilicate Glass? This is the only type of glass conceived to resist at thermal shocks, it will never crack! 4 FILTER SCREENS - The French Coffee Press comes with 4 filter screens for truly pure coffee and tea drinkers who know to appreciate the purity, flavor, consistency and quality; This Tea Infuser has components like STAINLESS STEEL Plunger, Frame and Filters because you deserve the best. The materials (glass and stainless steel) are completely taste-free so nothing comes between your ground coffee beans. *Full Disclosure: I received complimentary product from Francois et Mimi and Kitchen Supreme for the purpose of review. I received no compensation for this post. All comments are 100% accurate and 100% my own.